I've eaten at Greek Flame Taverna several times, and have never been disappointed. I usually sit outside in the lovely dining area in front of the restaurant. In fact, from December through March I usually dine outside whenever possible in Florida. The weather is usually perfect for it. 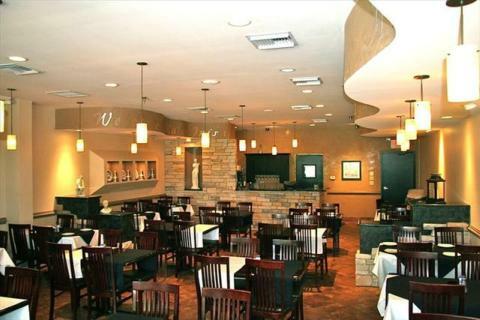 The Taverna is owned by Maria Chrissanthidis and her family. They have years of experience and their food operation shows it. They have excellent Greek food including standards like Greek Salad, Dolmades, Gyros and various soups like Avgolemono (lemon chicken) and Fakes (lentil). Their Hummus is smooth and delicious. I also enjoy their Horiatiki (Village Salad) with fresh plum tomatoes, cucumbers, green peppers, red onions, scallions, parsley, Dodonis feta and kalamata olives topped with olive oil, red wine vinaigrette and Greek herbs. The Taverna is owned by Maria Chrissanthidis and her family. They have years of experience and their food operation shows it. They have excellent Greek food including standards like Greek Salad, Dolmades, Gyros and various soups like Avgolemono (lemon chicken) and Fakes (lentil). Their Hummus is smooth and delicious. I also enjoy their Horiatiki (Village Salad) with fresh plum tomatoes, cucumbers, green peppers, red onions, scallions, parsley, Dodonis feta and kalamata olives topped with olive oil, red wine vinaigrette and Greek herbs.